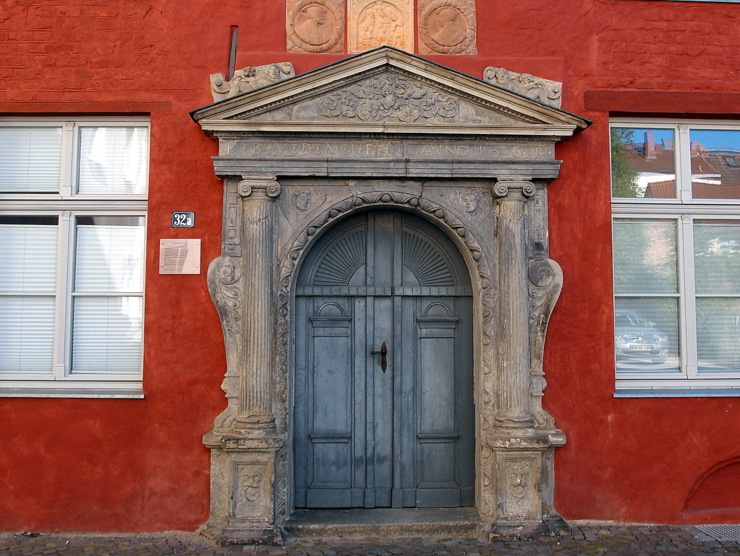 This Renaissance portal dating back to 1568 can be found at the address Jacobiturmstraße 32 in the city of Stralsund. 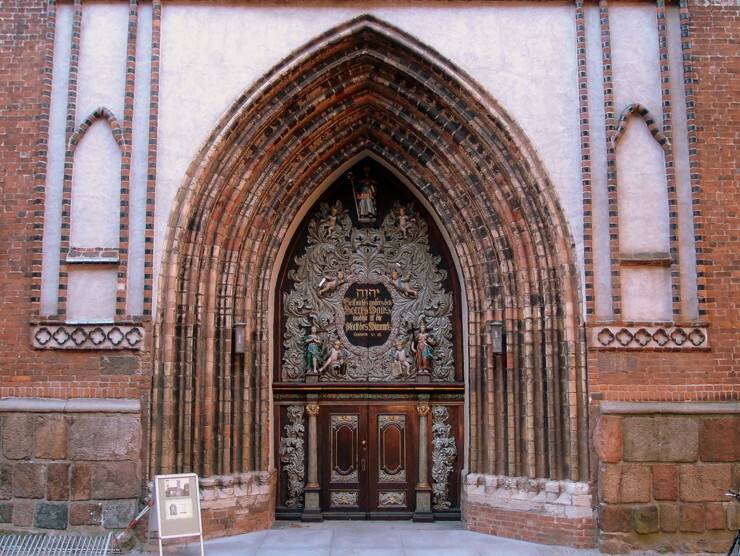 The three terracotta panels are considered to be created in the workshop of the sculptor Statius von Düren. The Gorch Fock was built in 1933 as school ship for the German Reichsmarine. 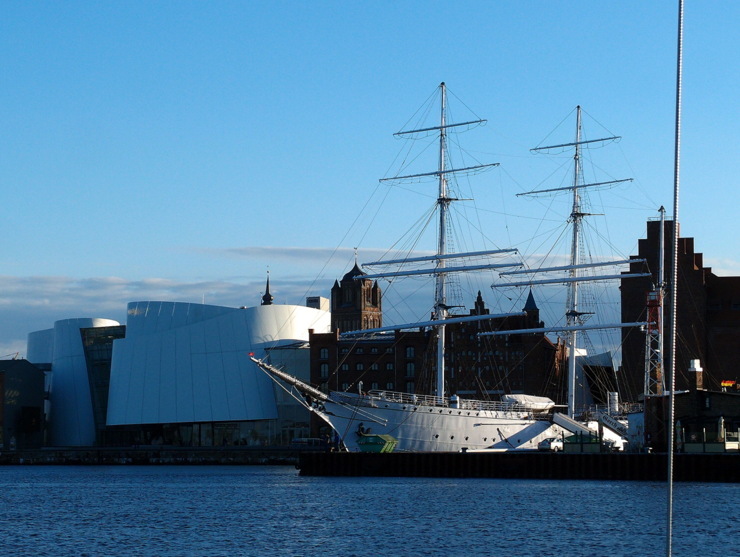 Today it is a museum ship in Stralsund. 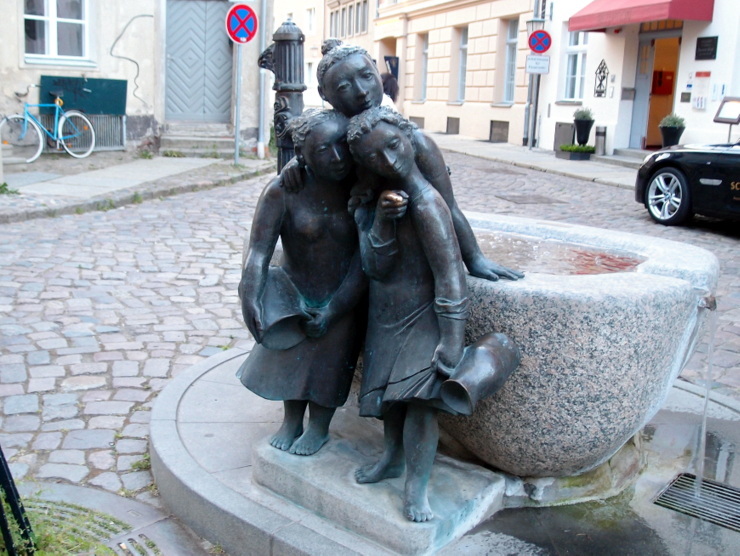 The name refers to the author Johann Wilhelm Kinau, who used the pseudonym Gorch Fock for his works. 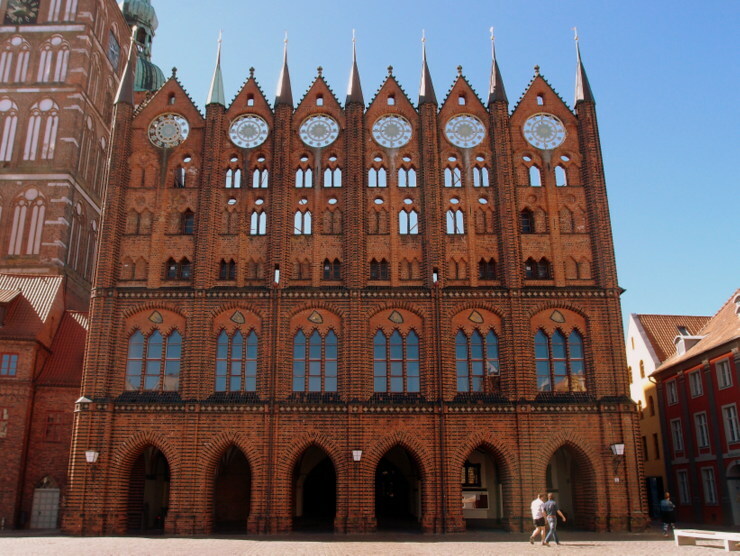 St. Nicholas’ Church (Nikolaikirche) is the oldest of the three major parish churches in Stralsund. It was dedicated in 1279 to St. Nicholas of Myra, the patron saint of sailors. Inside the astronomical clock dating back to 14th century is worth a visit. View of St. Nicholas’ Church (Nikolaikirche) taken while crusing the Strela Sound with a snug sailing boat. A speciality of this church are the different roofs of the towers. 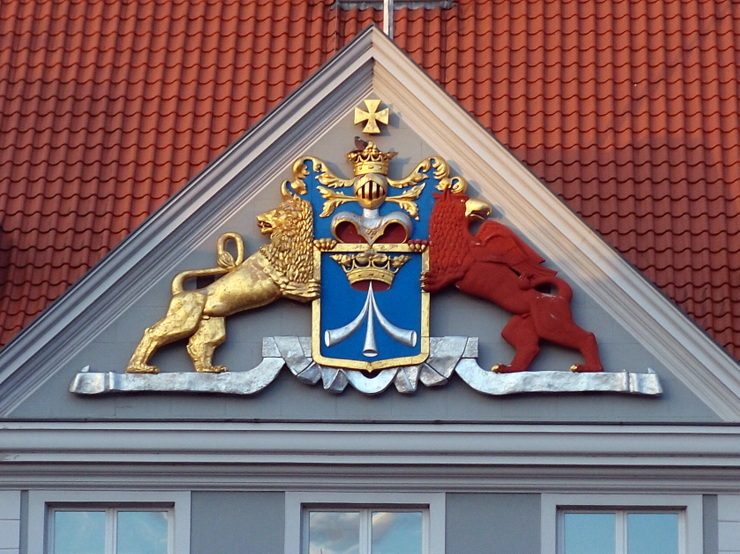 Only the southern tower is covered with a Baroque roof, the other tower has a nearly flat one. 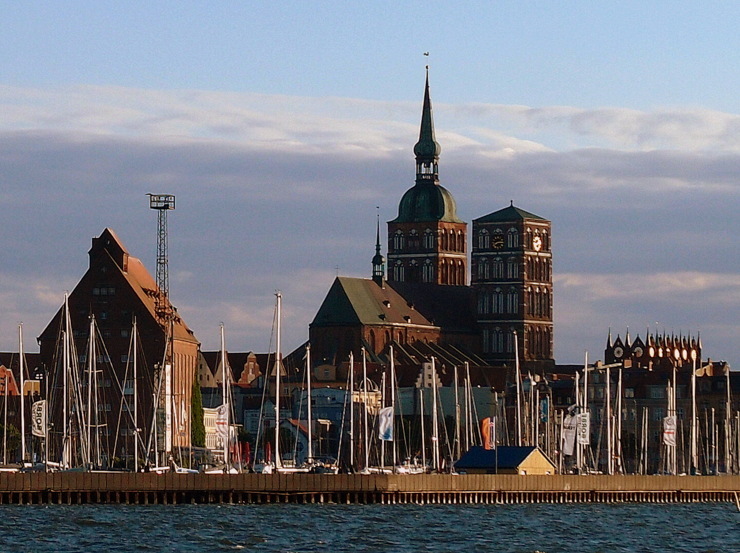 The Ozeanum is a public aquarium located in the historical harbour of Stralsund. 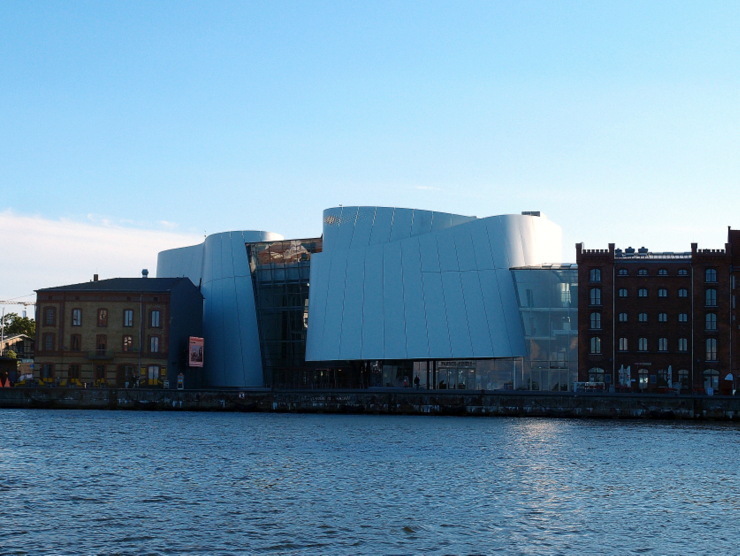 It is part of the German Oceanographic Museum (Deutsches Meeresmuseum) and displays primarily sea life of the North Sea and the Baltic Sea.